GASMSIA (5209) succeed break through bolinger band squeeze. 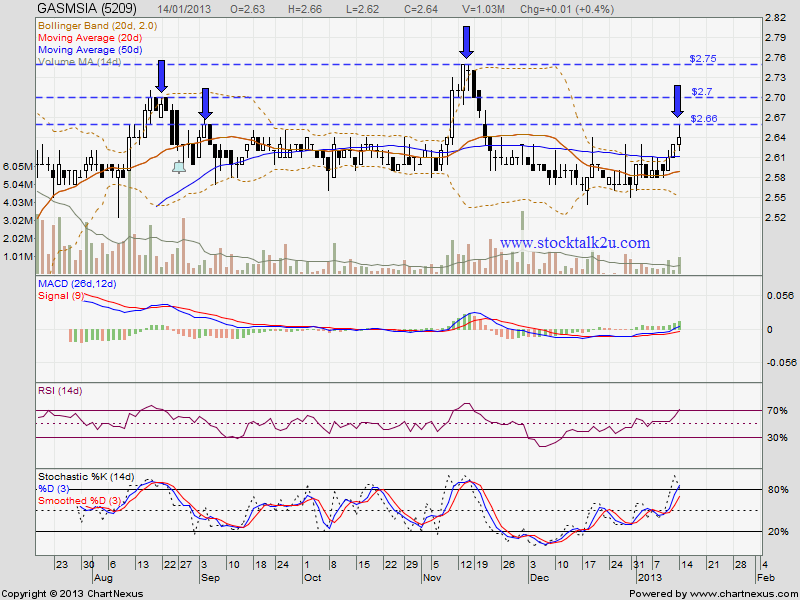 Immediate resistance @ RM2.66 level. 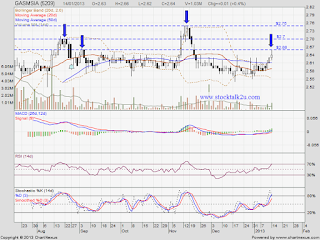 Subsequent resistance @ RM2.70 level. Immediate support @ MA50 level. Subsequent support @ MA20 level. If retrace down, higher low is formed, uptrend is confirm. Let's watch closely for entry opportunity.